Inspiration this week from Rosabeth Kanter, longtime professor at Harvard Business School, where she specializes in strategy, innovation, and leadership. I have read her work for years. Recognize the possible. Focus today, realize tomorrow. Seeds are everywhere if we are aware and willing to see. As Professor Kanter reminds us … collect these seeds. The possibilities are endless. These seeds exist within people. In events. In the everyday. 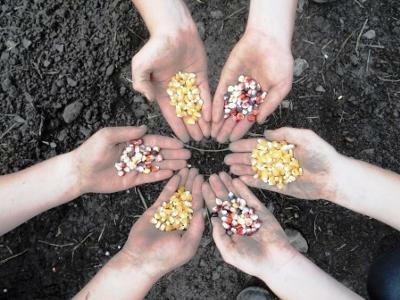 Leaders indeed become seed collectors with an eye toward the future where promise becomes reality. The ashes are there too. We see them. We feel them. We remember. Let them be. Indeed collect seeds, not ashes. Beautiful – thanks for the comment. Yep, strong metaphor with the seeds. I will hold onto this imagery.